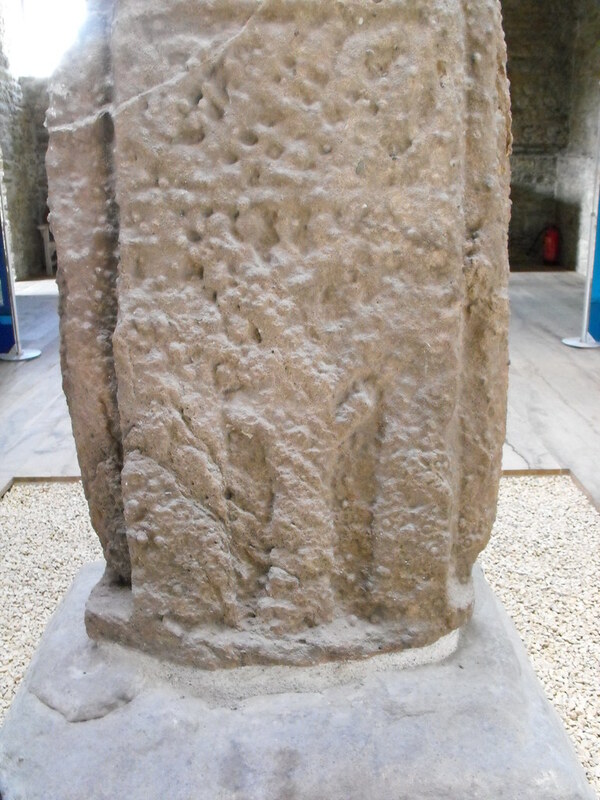 The Standing Stone: Roscrea, High Cross, Co. Tipperary. 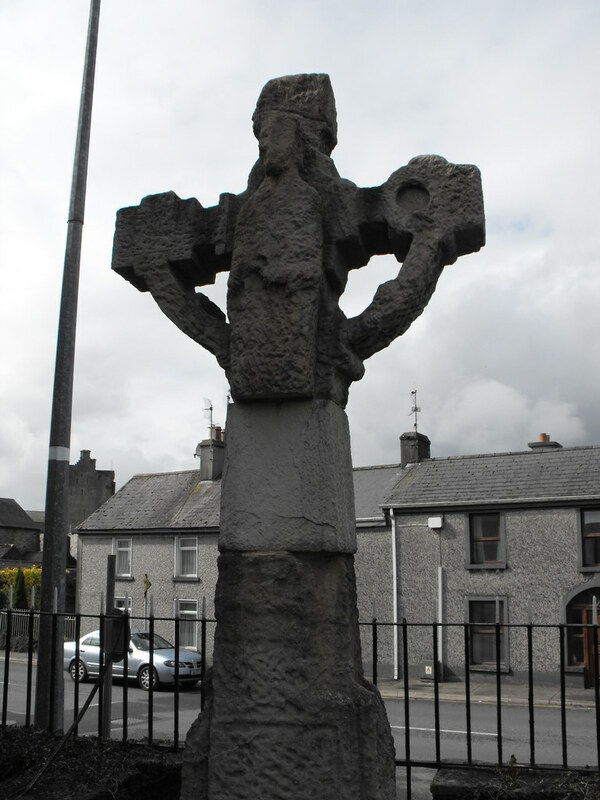 Roscrea, High Cross, Co. Tipperary. 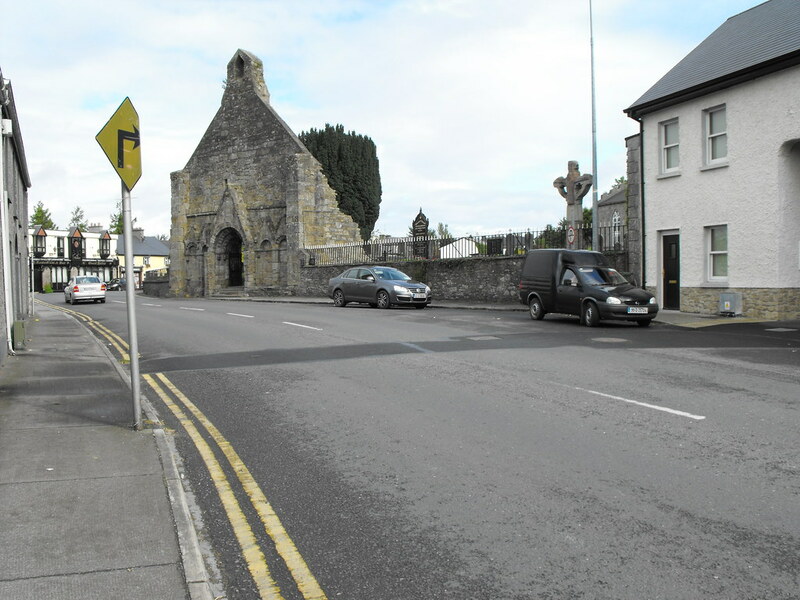 Location – In the centre of Roscrea opposite the round tower and next to the Romanesque church. 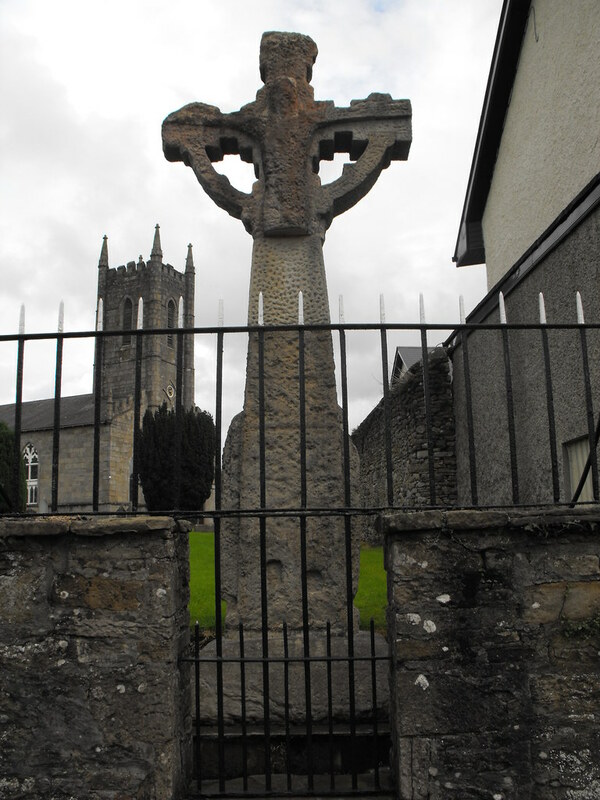 The cross is located in the grounds of a modern Protestant church. 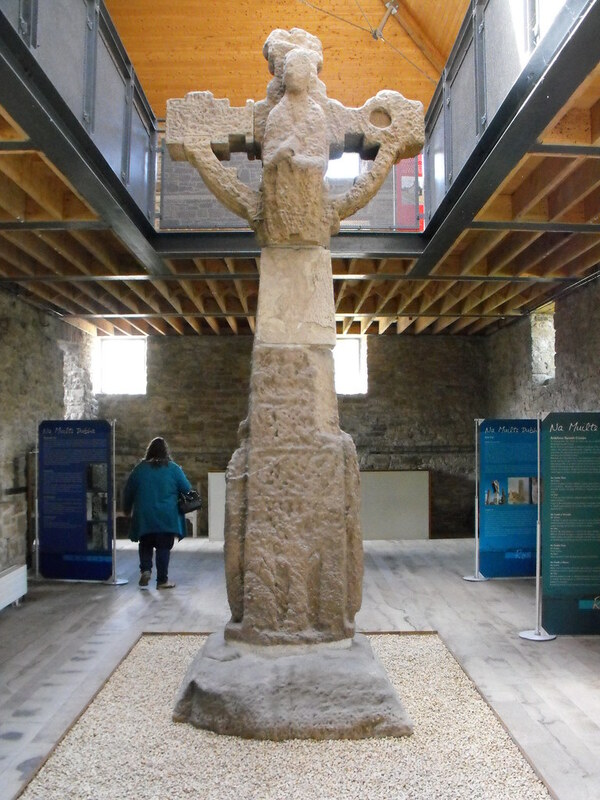 Description and History – This high cross is contemporary with both the Romanesque church and the round tower and dates to the 12th century. The ecclesiastical complex that all these sites belong to must have once been very impressive. 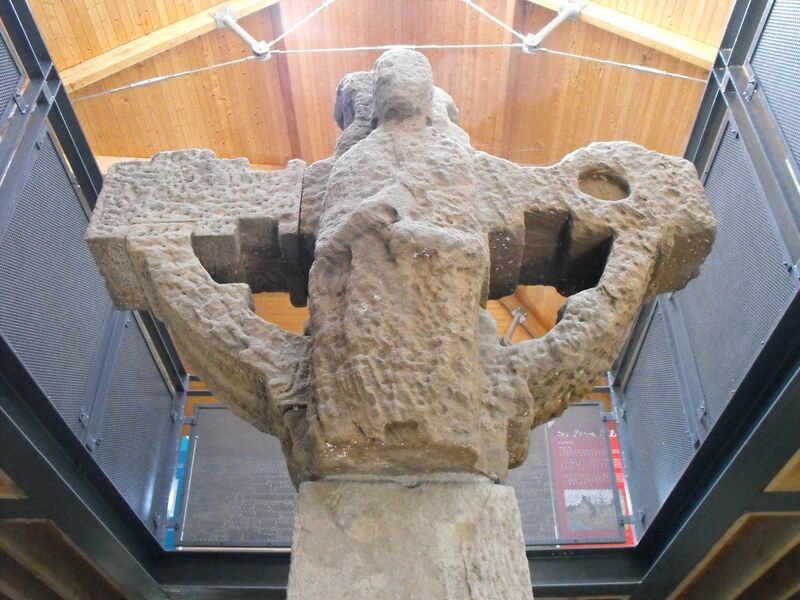 The high cross, although now much eroded, is still impressive and offers glimpses into what it must have been like. A crucifixion scene can still be seen on the W face while another figure can be seen on the E face. The cross is decorated all over with human figures although what they are depicting can no longer be made out. Once carving can still be identified as Adam and Eve. 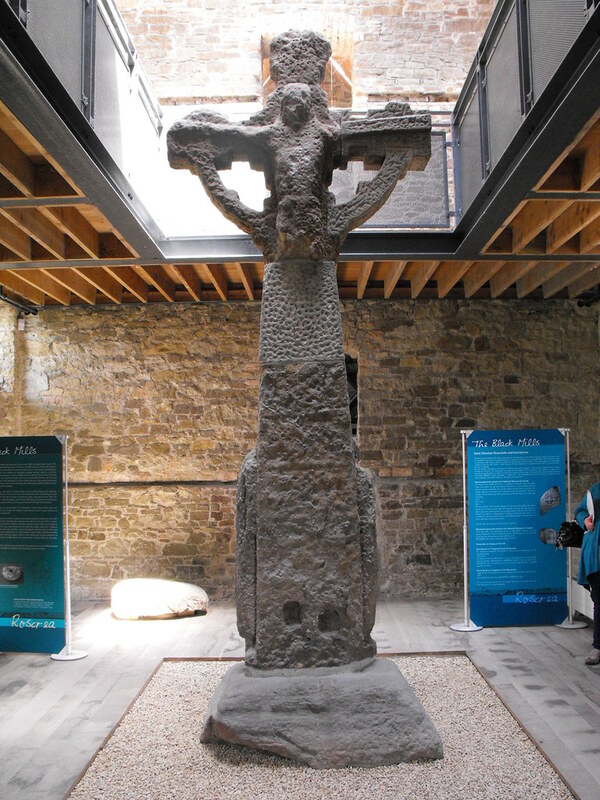 The cross that is in situ is not the original but rather a replica. 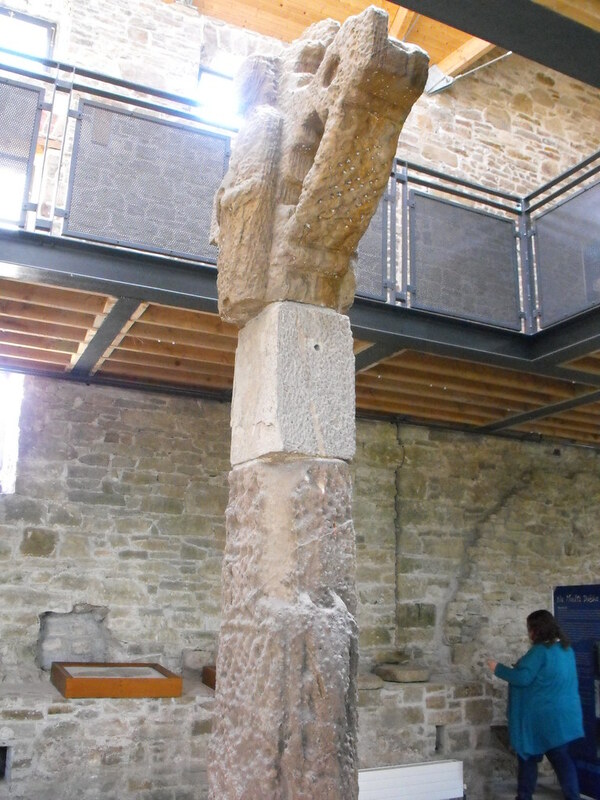 The original is located in the museum behind the round tower. This is one instance where the correct conservation has been carried out. It is a shame that the cross has to be removed from its original location but it has ensured that the soft sandstone will not erode further. The replica is excellent and fools many visitors and gives a perfect image of what the cross looks like. Difficulty – Easy to find and part of the larger ecclesiastical complex that also includes the round tower and the Romanesque church. The cross in it's, now modern, landscape next to the remaining gable of the Romanesque church. This is a replica cross in the place of the original. 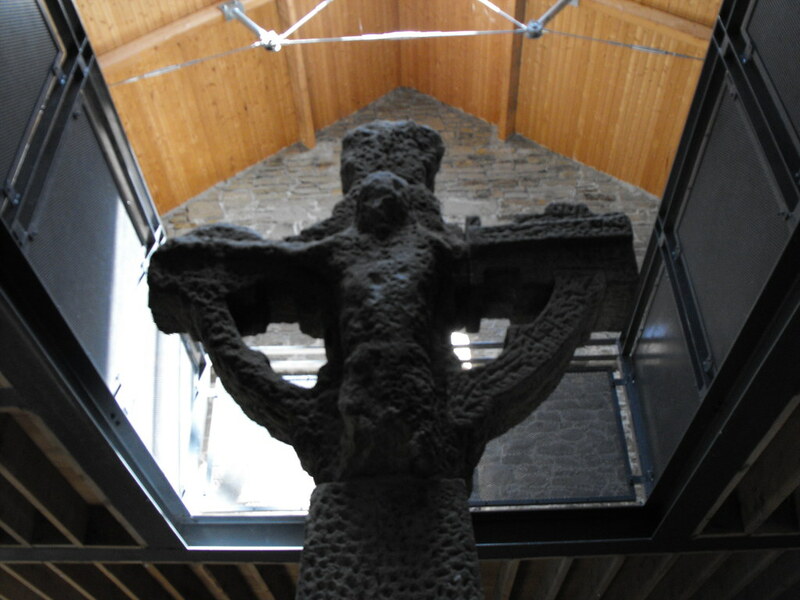 The original cross in the Blackmill's Museum. A slightly blurry shot of the crucifixion. 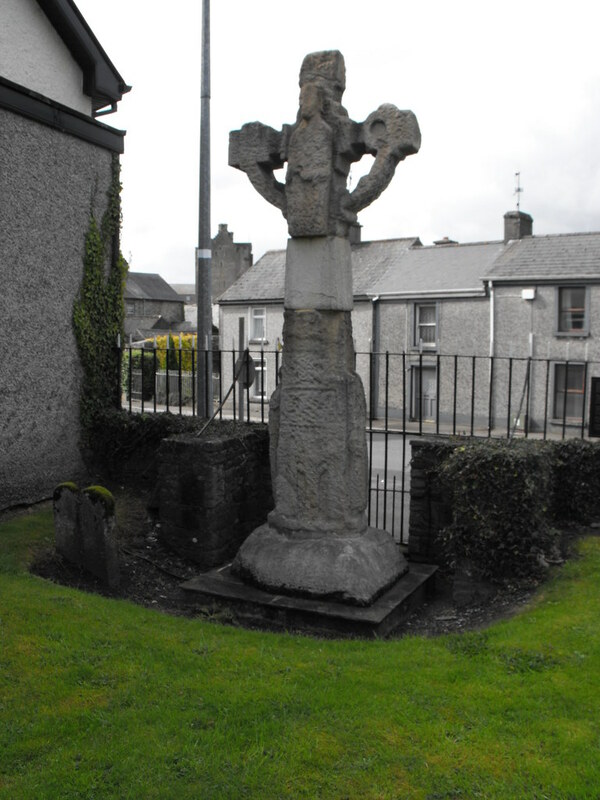 I don't know why but the high cross at Roscrea just doesn't want me to take photographs of it. More often than not they come out like this, dark and out of focus! 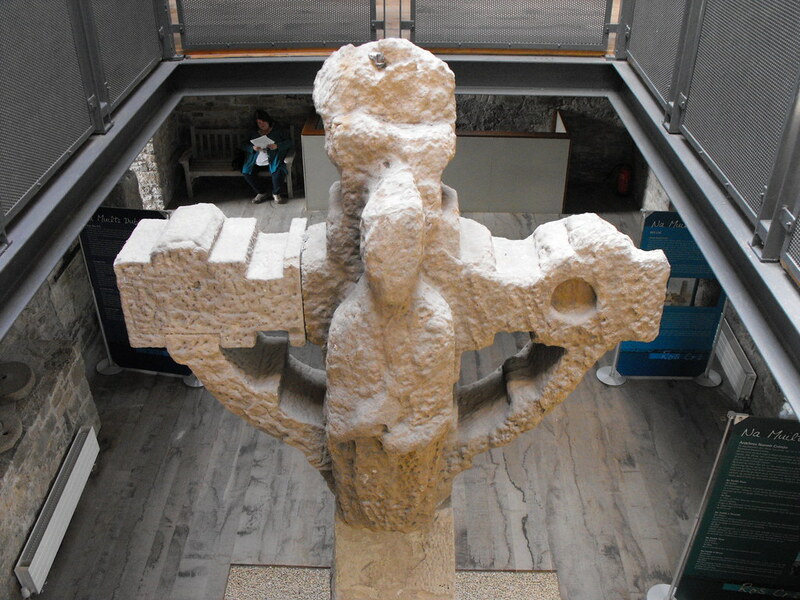 The other face of the cross showing a figure, possibly a bishop. Adam and Eve and the tree of life.